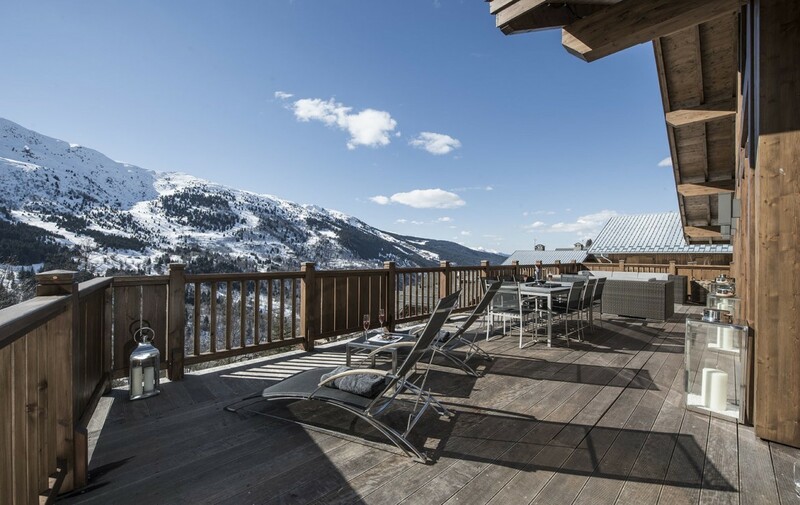 This is a stunning, newly built chalet located in Méribel 1600 only 50m from the Morel chairlift and the Hulotte piste. 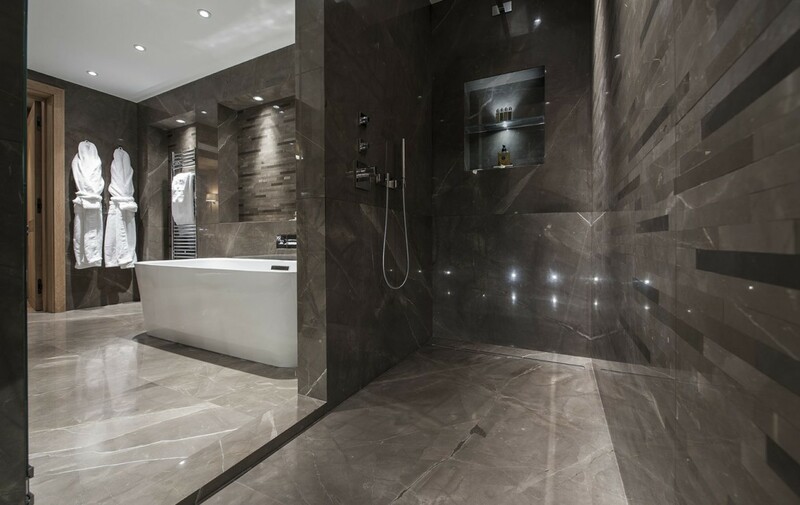 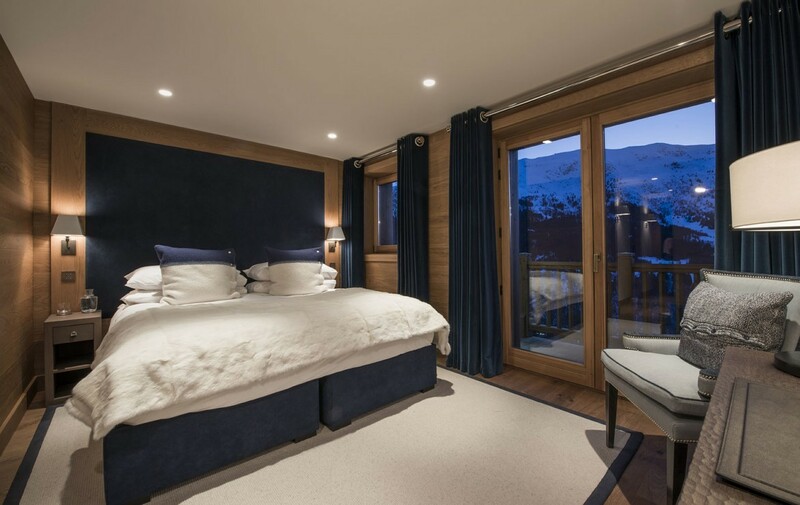 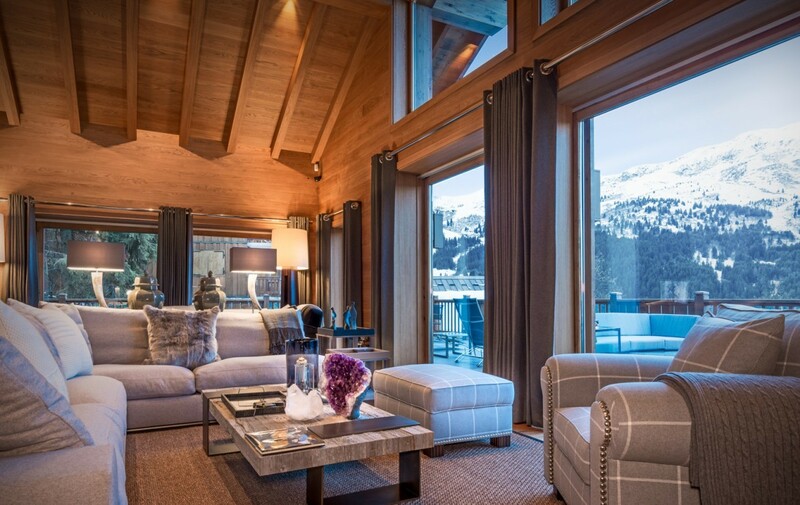 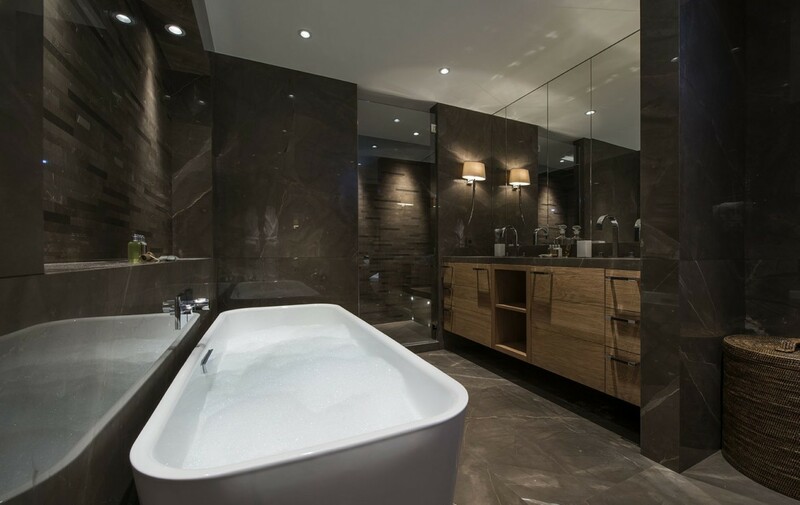 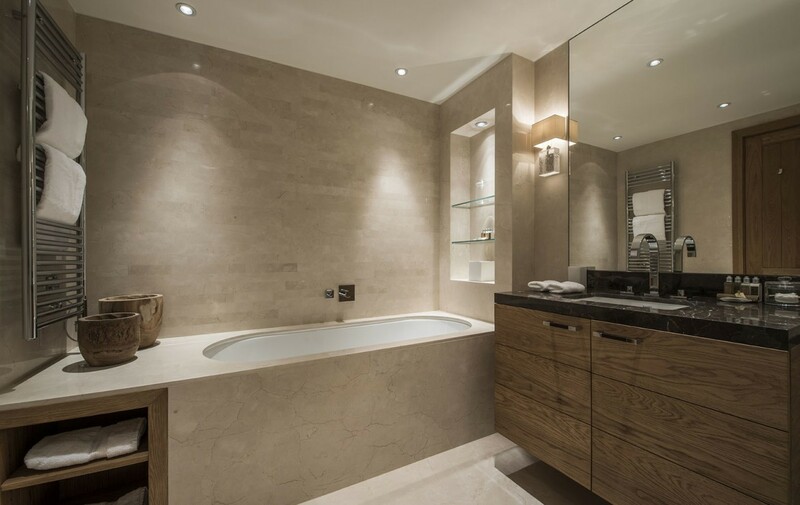 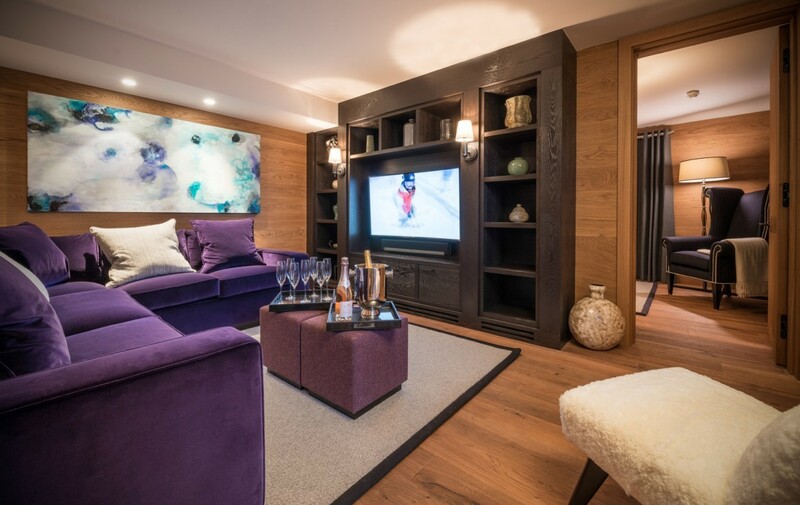 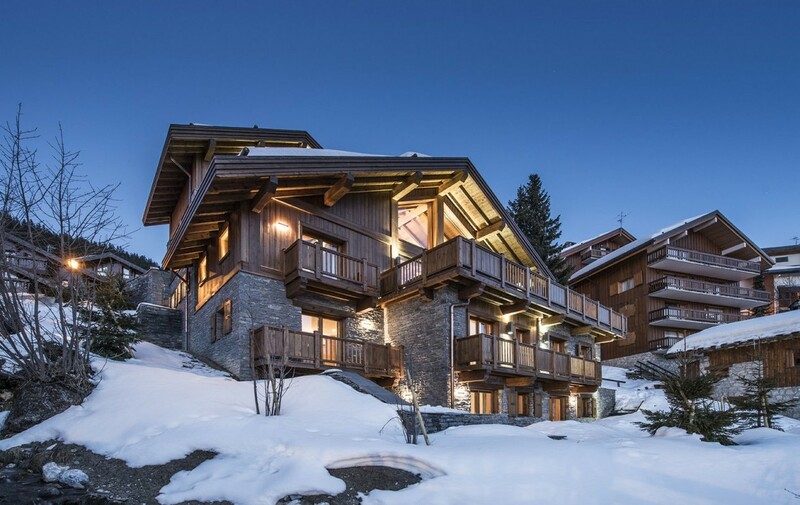 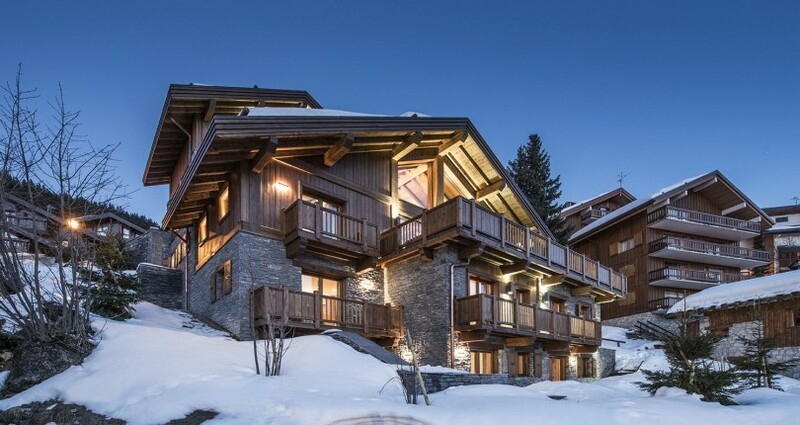 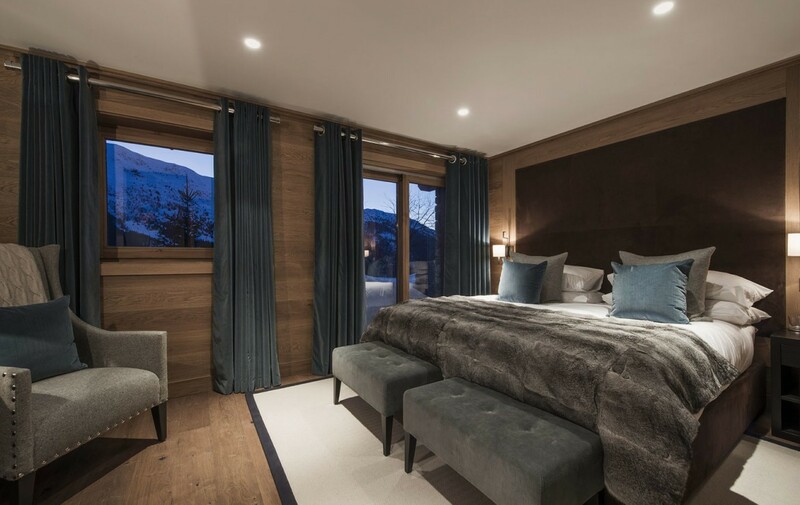 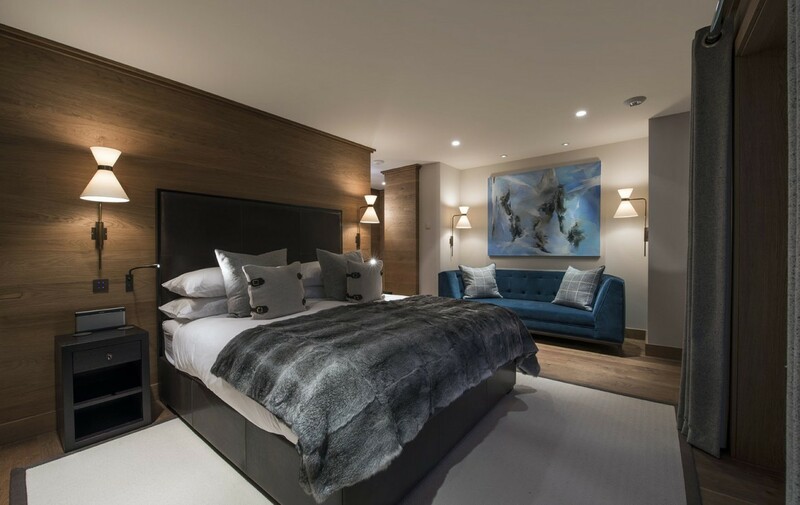 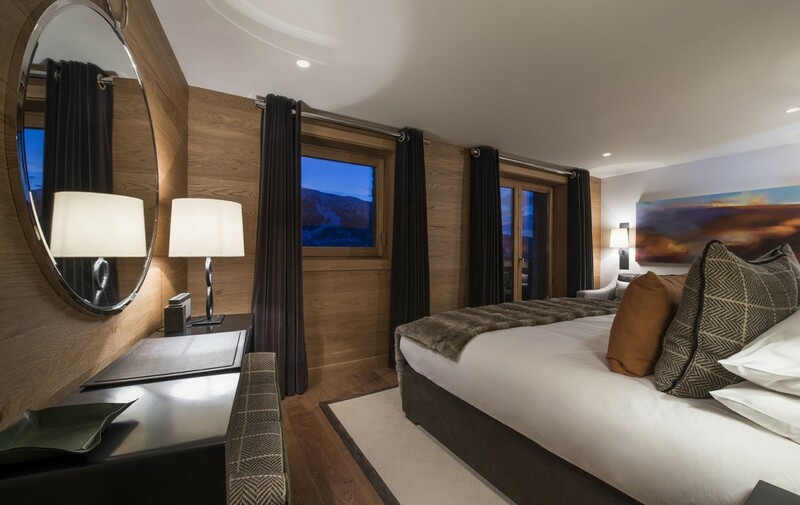 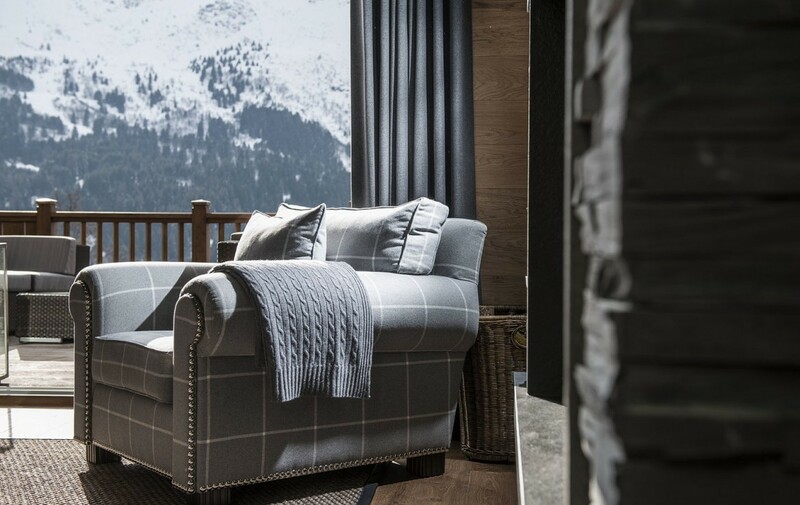 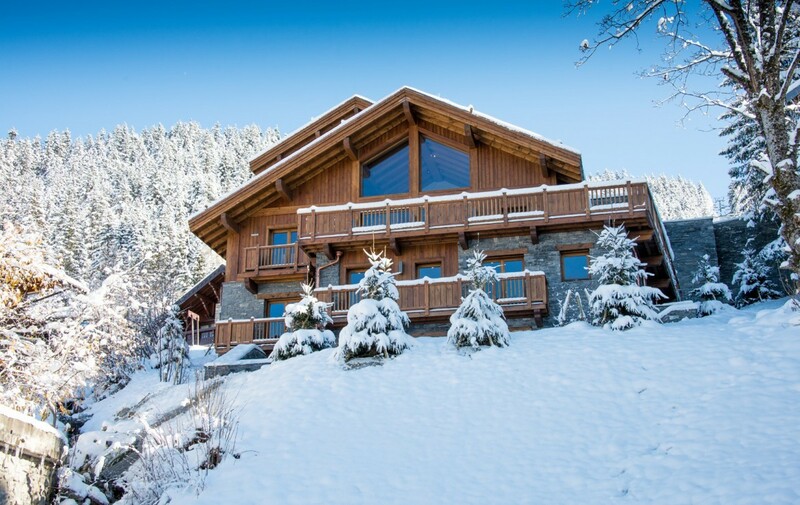 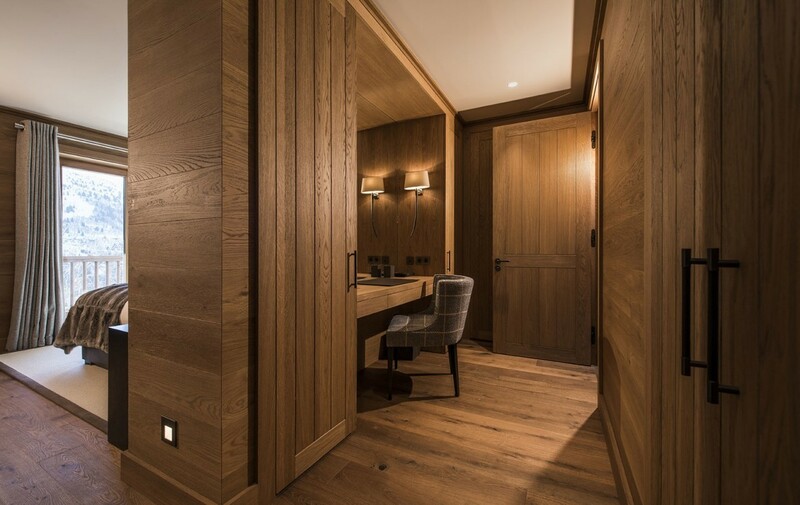 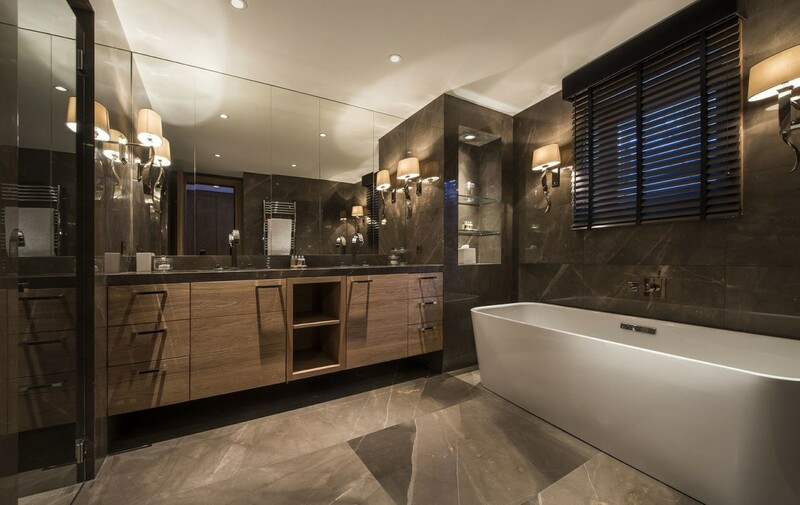 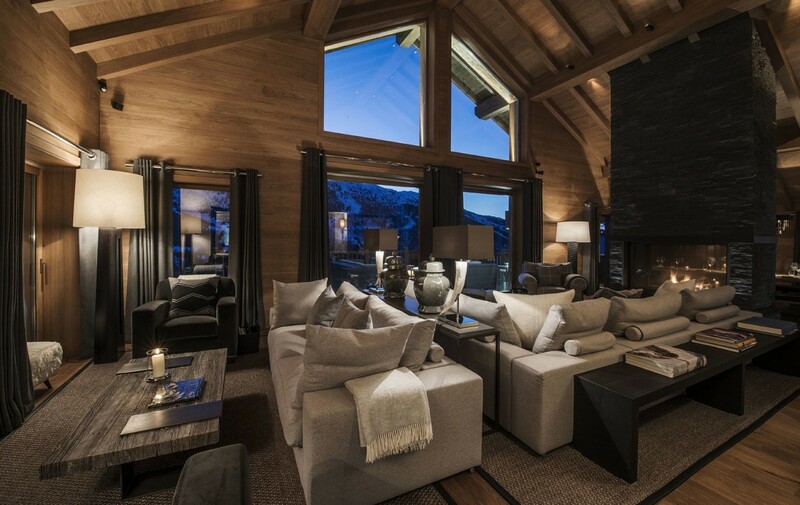 Arranged over five floors and benefitting from a lift, this expansive chalet is the epitome of alpine luxury and has been designed and finished to an extremely high standard. 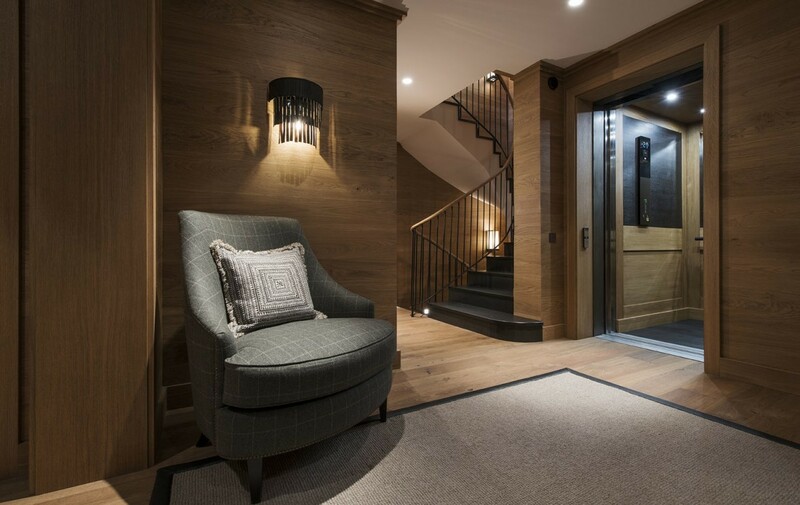 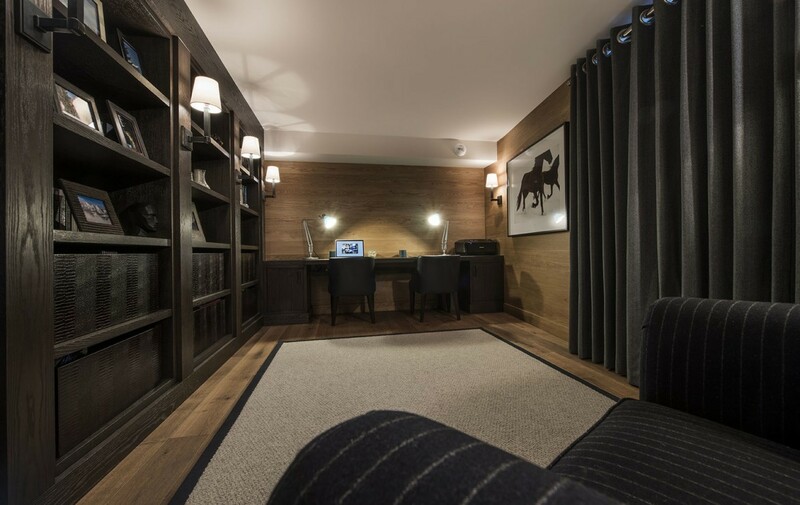 At street level, the main entrance leads into a foyer area that looks down over the central living space which has huge, triple height windows and provides access to a well- equipped boot room with adjoining cloakroom. 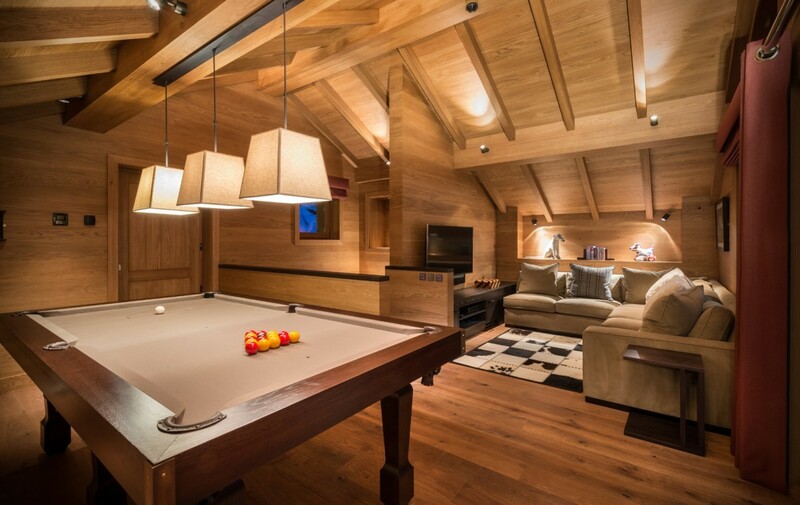 Above this floor is a games room with snooker table and 55″ TV – perfect as a teenage hangout or quiet area for younger family members. 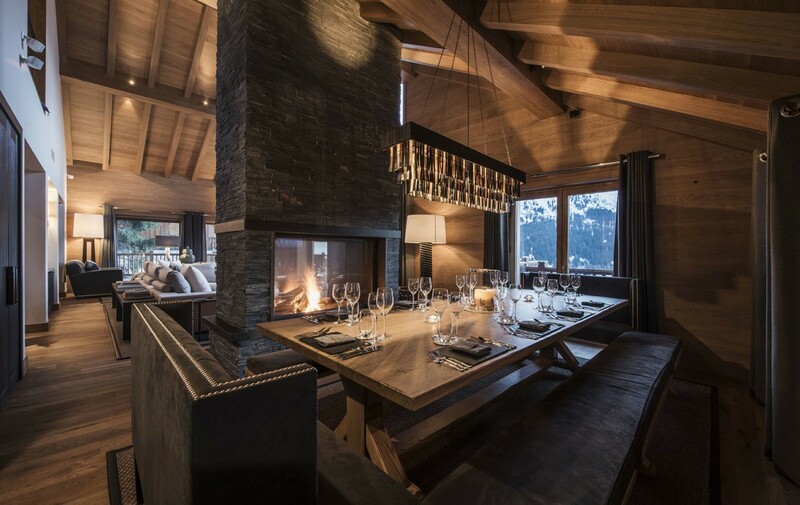 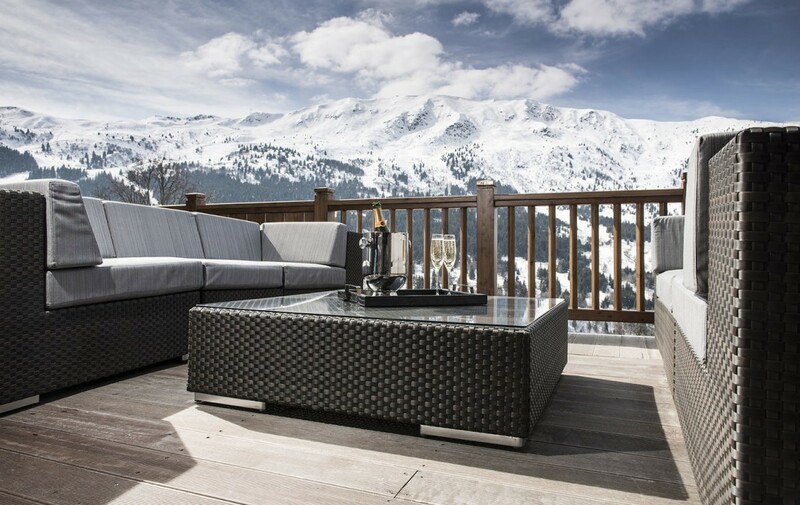 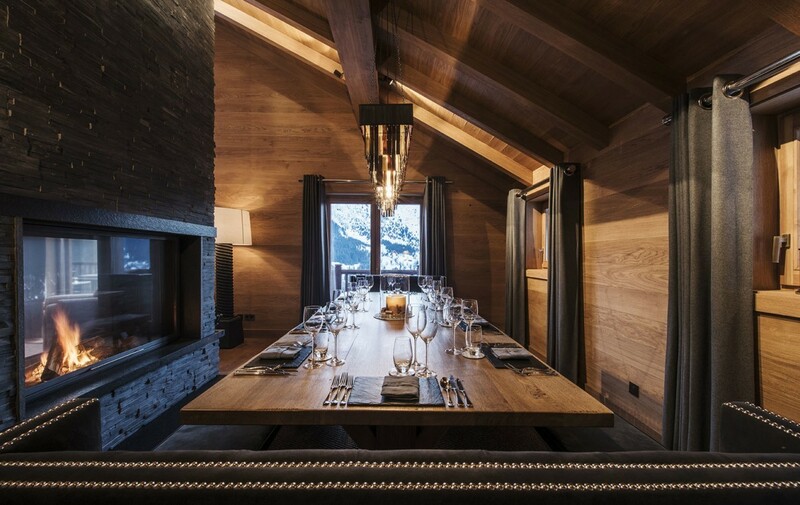 The main dining and lounge areas are spread across the entire width of the chalet, commanding a truly fabulous view. 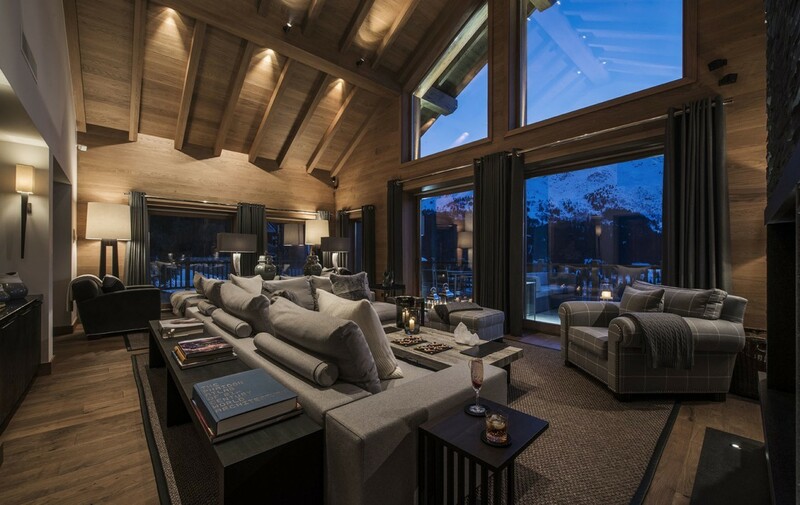 Additionally, this level has a family room, library/study, wine-store, Poggenpohl kitchen and a large terrace space. 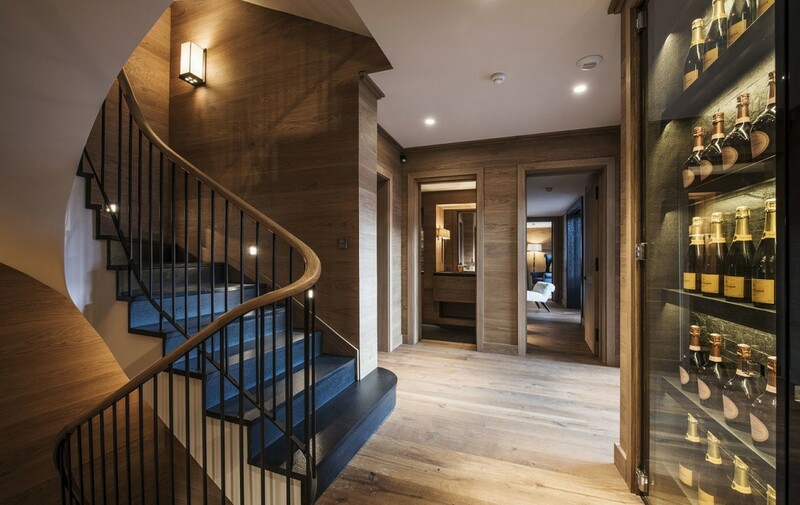 Below this are two floors with the bedrooms and a separate staff flat. 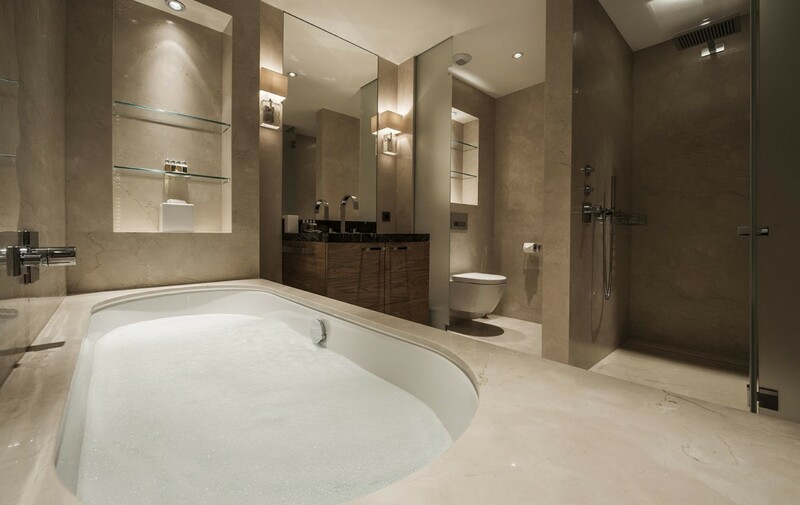 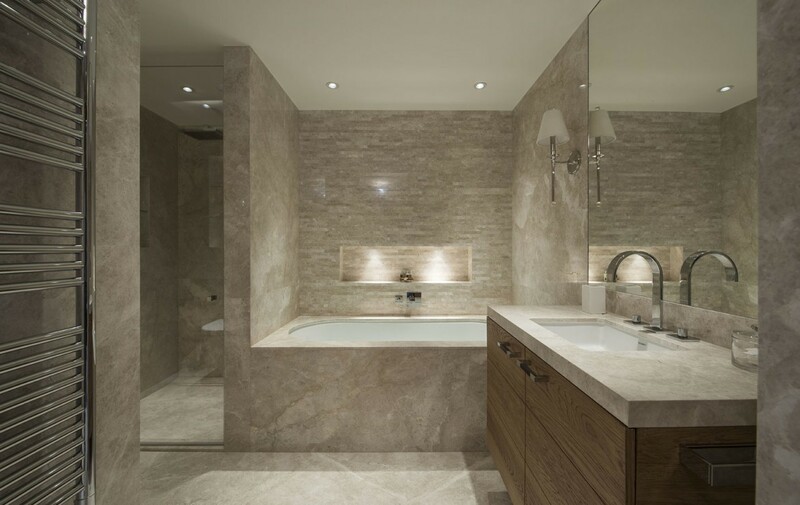 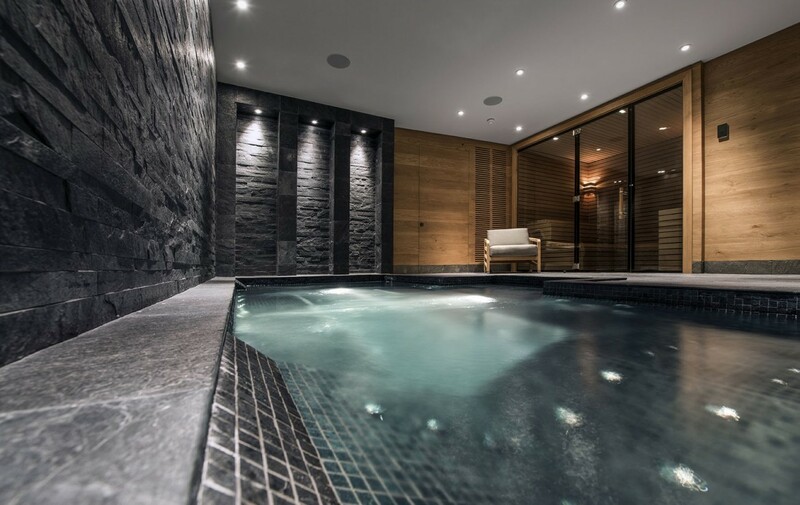 Also on the lowest level there is a luxurious spa area with sauna, sunken jacuzzi, massage rooms and shower. 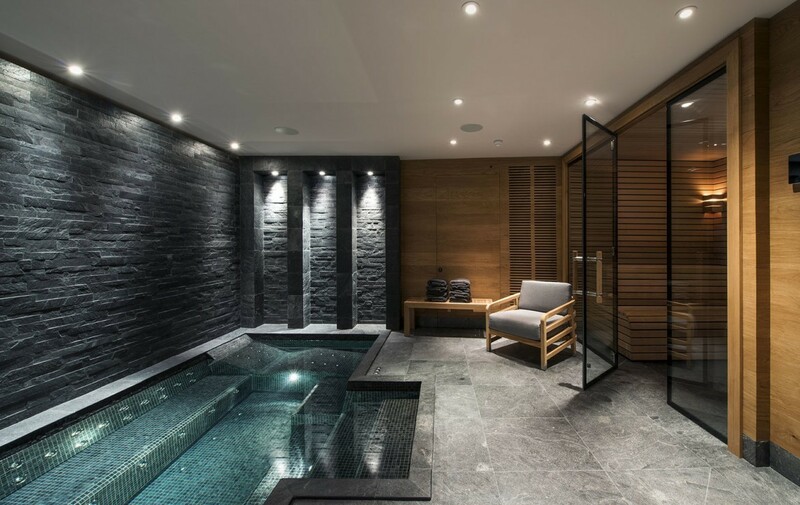 The Finnish-style sauna overlooks the beautiful stone work around the main Spa area, where the lighting can be customized to suit your mood. 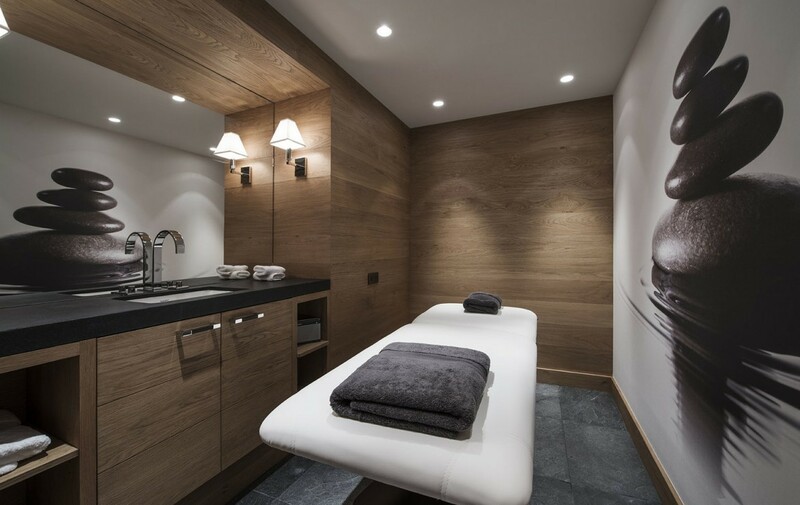 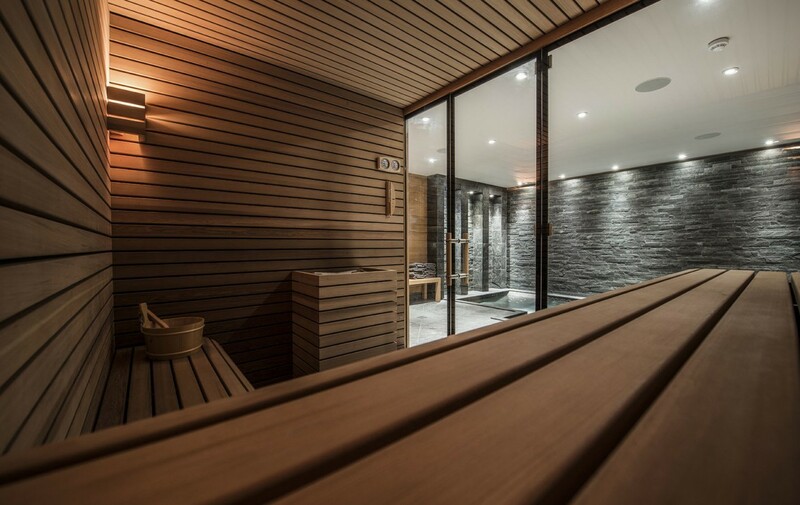 Adjacent is the tranquil spa treatment room, where you can unwind from a big day’s skiing or simply be pampered by one of our in-resort beauty therapists, masseuses or physios. 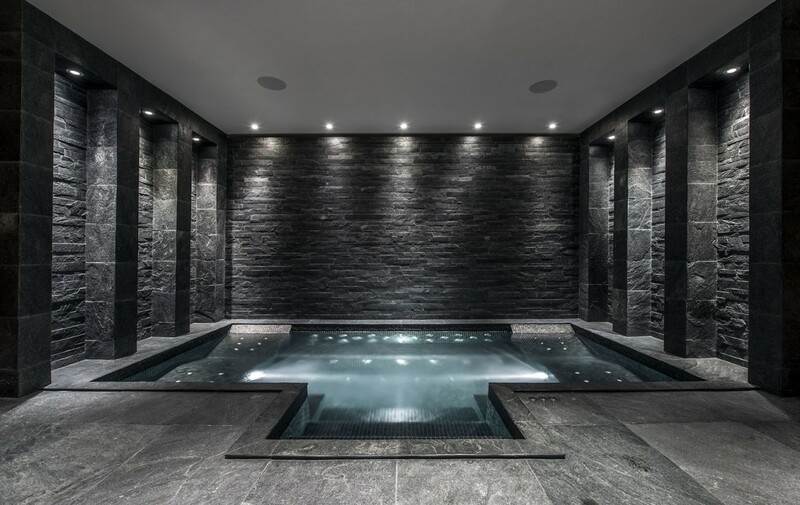 The well-appointed gym includes the latest equipment from TechnoGym. 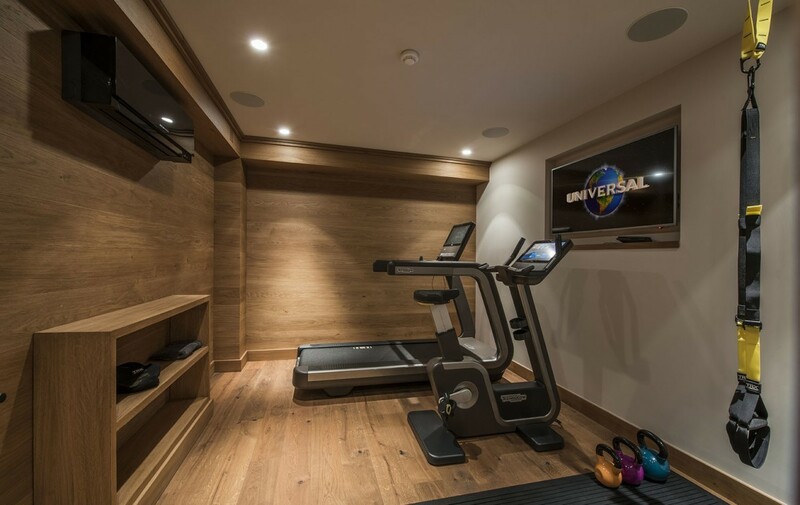 In addition there is an impressive sound system and flat screen TV to ensure you can really immerse yourself in your workout. 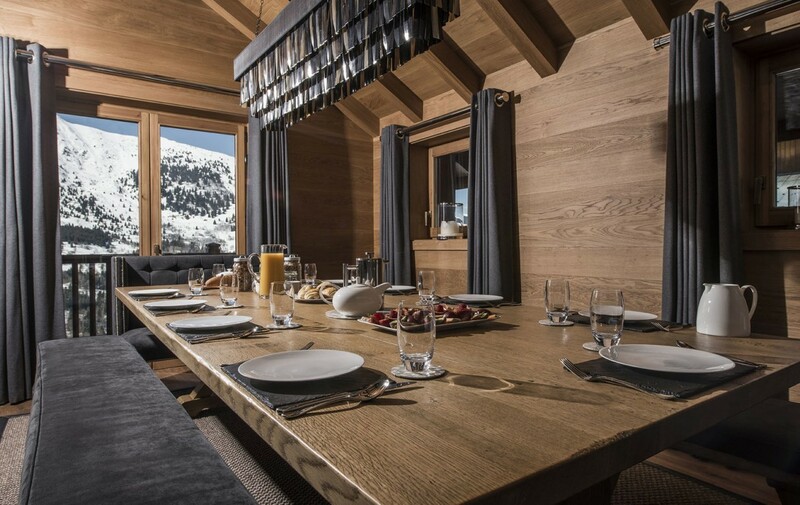 The chalet staff, including the in-house chef, will wow you from breakfast all the way through until bedtime with innovative menus and eye for detail, taking your preferences in to account to provide a tailored service during your stay. 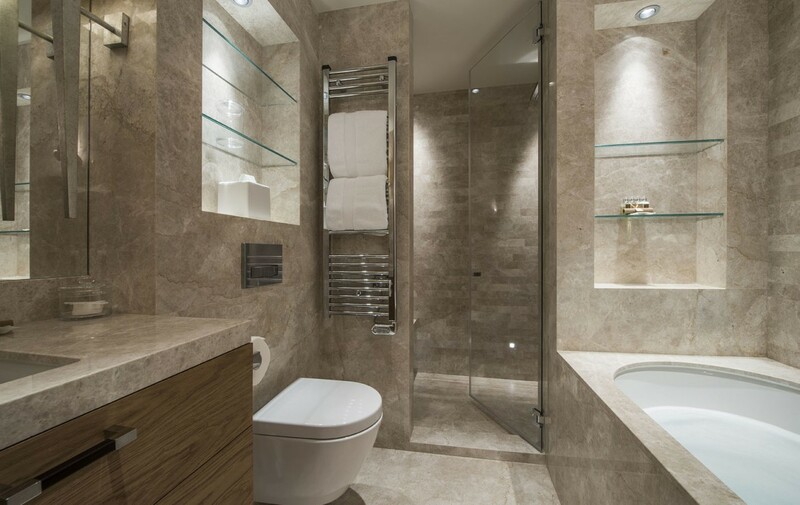 1 Master bedroom (180 cm bed) with private balcony, en suite bathroom, independent toilet and dressing. 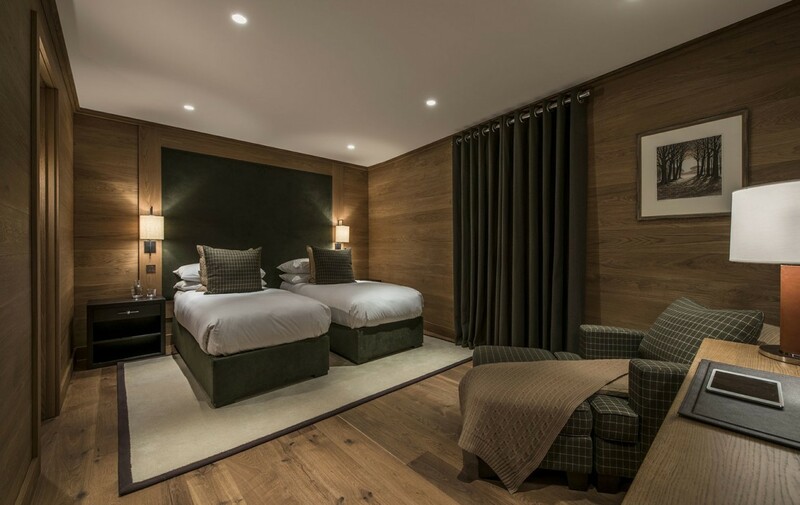 1 Double bedroom (twin beds) with dressing.